Aerial Company - Alarms/Security, TV Aerials/Satellite Services based in Cobham, Surrey. Welcome to our Checkatrade page! 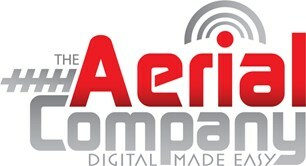 Established since 1996, Aerial Company are a small family run Aerial Installation Company based in Cobham, Surrey. We provide a reliable, friendly and professional service throughout Surrey, SW London and the Home Counties for domestic and commercial customers. Our services include: TV Aerial Repairs and Servicing, TV & Home Cinema, Home Security, Video Security Lighting, WiFi and Broadband Services and CCTV Installations. For peace of mind, we are members of the Confederation of Aerial Industries Ltd, Checkatrade and we are a Surrey Trading Standards approved contractor. If you would like to discuss what you need or you need some advice, please feel free to contact us below. Please take a look at our reviews page to see what our customers have said about us. Surrey, Cobham, Esher, Walton, Weybridge, Thames Ditton, Kingston, Hampton, Richmond, Teddington, Twickenham, Guildford, Godalming, Woking, South London. All KT, TW, GU, SW postcodes covered.